Few paid attention to a rare protest in Saudi Arabia in late January 2011 as a wave of popular uprisings swept the Middle East and North Africa, toppling the leaders of Tunisia, Egypt, Libya and Yemen. Yet, the protests and criticism of the government’s handling of floods in the Red Sea port of Jeddah in 2009 and 2011 play an important role in Saudi Crown Prince Mohammed bin Salman’s extension to members of the ruling family and the military of his crackdown on any form of opposition to his mercurial rise, economic and social reform plans, and conduct of the Yemen war. In announcing the creation of an anti-corruption committee headed by Prince Mohammed as well as the dismissals and/or detention of eleven princes, senior government officials. an unidentified number of prominent businessmen largely linked to different factions within the ruling family, and top military officers, the government said the new body would be looking into the handling of the floods. Torrential rain in Jeddah that caused death and destruction as well as prolonged power outages in the city prompted dozens to protest Jeddah’s poor infrastructure. The 2009 floods killed 120 people and triggered a rare public debate about the management of public funds and infrastructure defects. 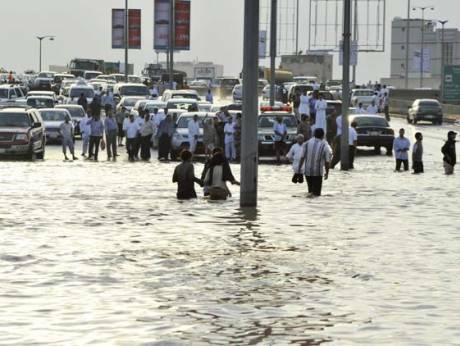 The 2011 torrents prompted dozens to protest the port city’s poor infrastructure that Saudis said was the reason why floods had such a devastating effect. The 2011 protest erupted in response to a mass Blackberry message campaign, calling on residents to gather on the city’s main shopping street. Up to 50 protestors were believed to have been arrested. The government, in a bid to address widespread frustration in Jeddah, this year contracted China’s state-owned Chinese Communication Construction Group (CCCG) to build a 37-kilometre-long channel to catch rain and flood water. “It might be an ordinary channel in another area, but it isn’t the same in Saudi Arabia and it has special importance and came after painful lessons,” said Ma Chifeng, the director of CCCG’s Jeddah City Project for Flood Drainage. The crackdown is of course about much more than the Jeddah floods, even if making them one of the anti-corruption committee’s first focal points is significant. 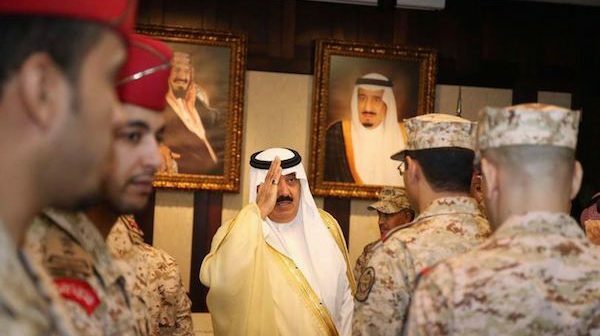 Among those dismissed and/or detained were National Guard head Prince Meteb bin Abdullah; economy minister and former Jeddah mayor Adel bin Mohammad Fakeih; and navy commander Abdullah al-Sultan, as well as reportedly businessmen such as multi-billionaire Prince Al-Waleed bin Talal bin Abdulaziz, a major shareholder in some of the world’s best-known blue chips and media mogul, who is widely seen as a liberal; Waleed bin Ibrahim al-Ibrahim, a brother-in-law of King Fahd and together with Abdulaziz bin Fahd, the late king’s son, owner of the Middle East Broadcasting Company (MBC) that operates the Al Arabiya television network; and Saleh Kamel, head of one of the Middle East’s largest conglomerates, who in the past had close ties to the Muslim Brotherhood. Prince Meteb, a son of the late King Abdullah, was the last senior member of the ruling family unconnected to King Salman’s tack of the family, who was in a position of power. 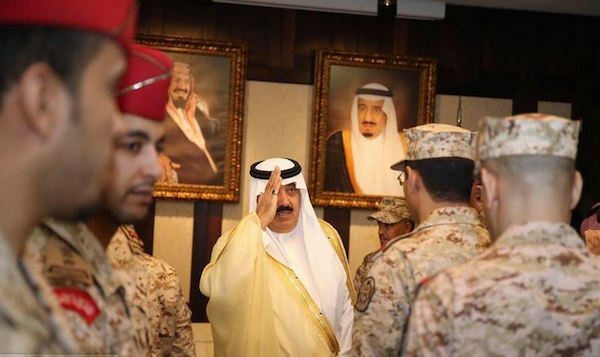 The tribally-rooted guard, a military unit founded alongside the military to protect the ruling family rather than the country, was long seen as a stronghold of King Abdullah and his closest associates. The crackdown on national guard and military commanders coincided with Houthi rebels signalling with a missile firing that the Saudi capital of Riyadh was within their range. The firing suggested that Saudi Arabia’s strategy in the 2.5-year long Yemen war, based on an air campaign rather than the commitment of Saudi ground troops, has so far failed to achieve its declared goal of ensuring the kingdom’s security. The crackdown also follows the disappearance and alleged kidnapping of three of four known dissident members of the Saudi ruling family who had gone into exile in Europe. Among the four was Prince Turki bin Bandar, a former senior police officer responsible for policing the ruling family, and Prince Sultan bin Turki, the husband of a late daughter of King Abdullah. It also follows a wave of earlier arrests of scores of Islamic scholars, judges and intellectuals, whose views run the gamut from ultra-conservative to liberal. Among those arrested were scholars Salman al-Odah, Aaidh al-Qarni and Ali al-Omari, poet Ziyad bin Naheet and economist Essam al-Zamil, some of whom have more than 17 million followers on Twitter. The detentions were designed to silence alleged support in the kingdom for an end to the almost four-month old Gulf crisis that has pitted Saudi Arabia and its allies against Qatar, mounting criticism of the conduct of the Yemen war, and Prince Mohammed’s reforms. Beyond grandiose plans, Prince Mohammed has yet to deliver on the economic aspects of his reform plans articulated in his Vision 2030. Prince Mohammed has so far delivered on limited, headline-grabbing social changes such as lifting the ban on women’s driving and access to sports stadia needed for his economic reforms as well the encouragement of greater entertainment opportunities that contribute to economic growth and address grievances among youth who account for a majority of the kingdom’s population. He has yet to deliver on jobs in a country that has high un- and under-employment and whose population has been weaned on cradle-to-grave welfare. The most recent crackdown breaks with the tradition of consensus within the ruling family whose secretive inner workings are equivalent to those of the Kremlin at the time of the Soviet Union. 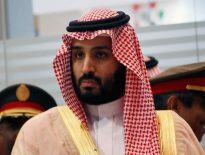 Nonetheless, the dismissals and detentions suggest that Prince Mohammed rather than forging alliances is extending his iron grip to the ruling family, the military, and the national guard to counter what appears to be more widespread opposition within the family as well as the military to his reforms and the Yemen war. It raises questions about the reform process that increasingly is based on a unilateral rather than a consensual rewriting of the kingdom’s social contract. “It is hard to envisage MBS succeeding in his ambitious plans by royal decree. He needs to garner more consent. To obtain it, he must learn to tolerate debate and disagreement,” quipped The Economist, recently referring to Prince Mohammed by his initials.